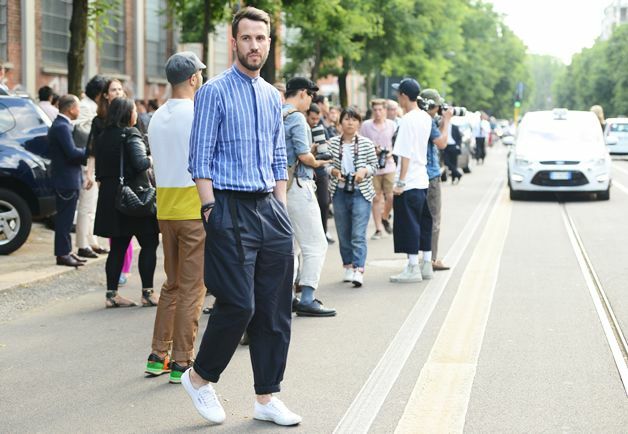 Ankle-length pants are great for shaping the best body proportion, but what are suitable for daily wearing in the city are more than ankle-length pants. Today we see more and more young people dressed in harem style. 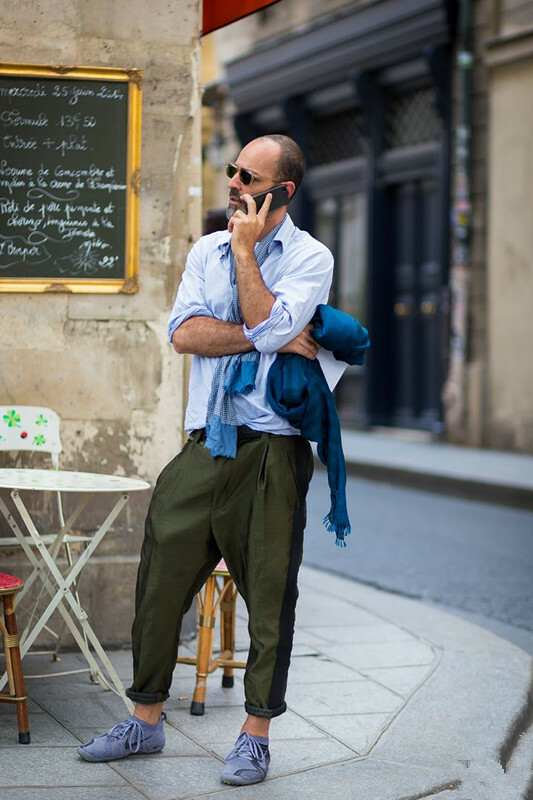 This is the trend of mens casual harem pants that every person cannot ignore. Neuter harem pants were often thought to be worn by women. 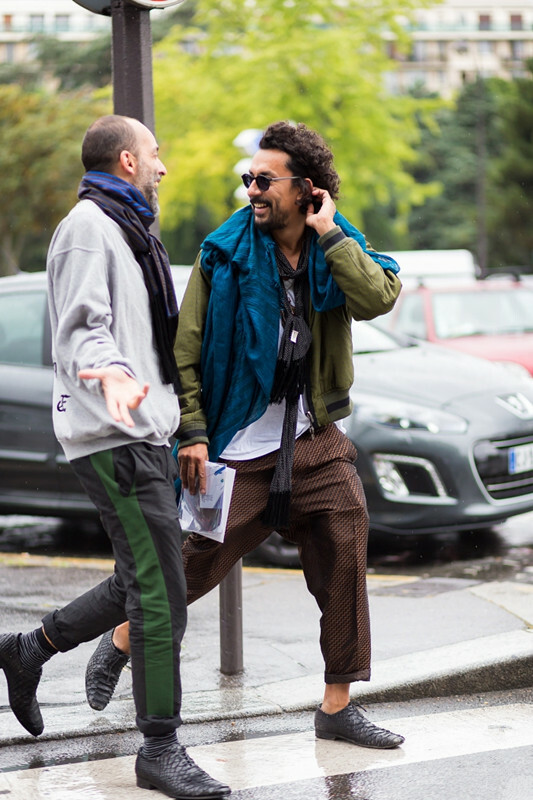 In recent years, along with the evolution of the fashion elements and design style of innovation, harem pants are becoming more and more popular among men. The distinctive temperament that they shape is gradually accepted by fashion men, especially as harem pants become the choice of many stars. This trend is increasingly strong and continues to maintain. The crotch of harem pants is loose and mostly will be lower. 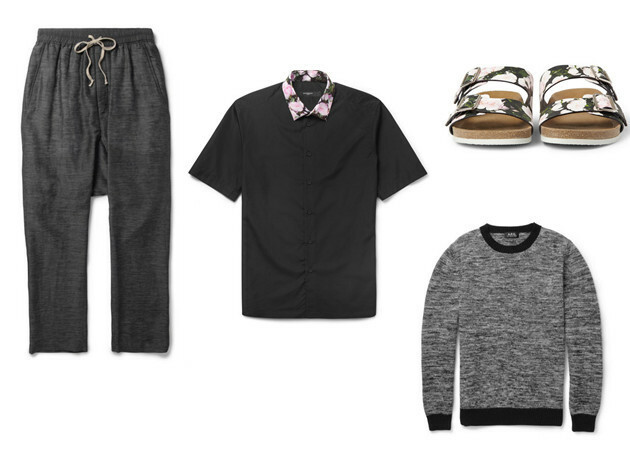 Because of this feature, it is not that easy to pull off stylish look with harem pants. Many of them may be seen as fashion disaster. To make the whole line is harmonious and does not appear shorter, it is sort of tricky. The cultural background and style characteristics of harem pants are different from other pants’. After different change by countless designers, there are many clothing that contain a lot of harem pants elements. Harem pants are good-looking, but after all, they are quite different from our daily pants in shape and detail, so how to pair them is very important. The top should avoid too long and too big. Otherwise, it is easy to cover the distinctive hip design of harem pants. Winter short double-breasted coat is very appropriate just like scarves, hats, bags and so on. The adornment of the detail makes integral color harmony. These black harem pants men are unique and you will stand out from the crowd instantly. And the harem leisure and the elegance of baroque combine together. 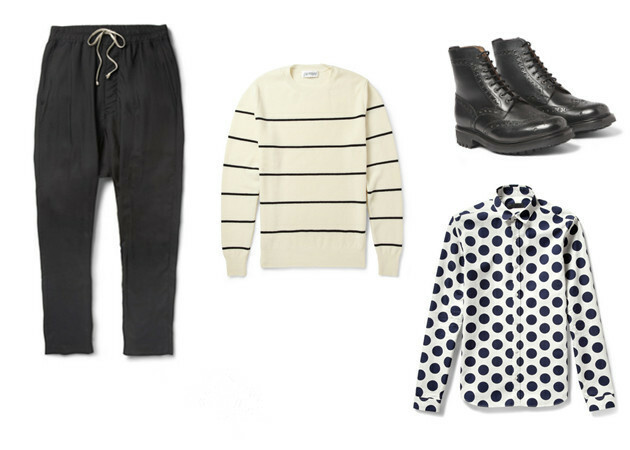 The geometrical element of the jacket and the visual contrast of polka dots and line is the key. The collar of the shirt is a shining point of the outfit and echoes with the shoes. Grey and black transit smoothly because of the sweater.